NEW YORK—The library of the future could include affordable housing upstairs, retail downstairs, and a 24-hour community lounge in the lobby. Over the years, the function of libraries has deeply shifted. They are becoming community hubs, workforce development centers, spaces for afterschool programs, makerspaces (work spaces for artisans), and so much more. There is also a consensus that a library is the last seat of community in many places. But just to bring all libraries into a state of good repair would cost $1.1 billion, according to a Center for an Urban Future (CUF) report, which seems like a large gap to policymakers—even as they start to take an interest in strengthening libraries’ services. 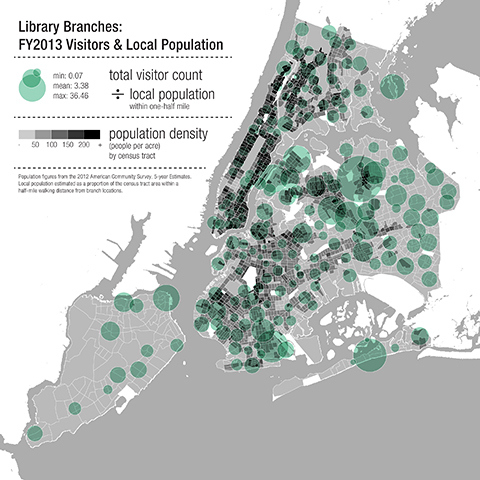 New York is just beginning its conversation about rethinking branch libraries, stakeholders say, and this means there is an opportunity not to just patch up leaky roofs, but create centers of support for individual communities. To help policymakers think outside the box, CUF, The Architectural League of New York, and the Charles H. Revson Foundation tasked five interdisciplinary design teams to innovate. They were asked to address both the public spaces themselves, and the resources required to upgrade these libraries. According to the report, maintenance needs are so high that weather conditions and high or low temperatures often cause libraries to close for several days each year. Every time it rains, the staff at Southern Brooklyn’s Brighton Beach library has to move a bank of computers because of its leaky roof, according to the CUF report. The funds are not there now, but they could be created through other development interests, according to a design team led by architectural firm Marble Fairbanks. 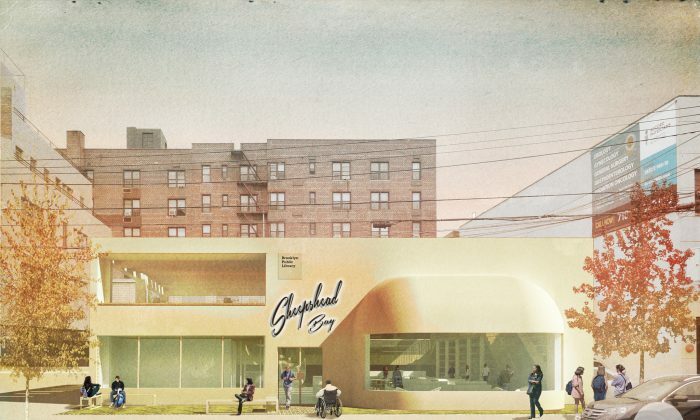 In its redesign of the Brighton Beach branch library, the partners envisioned the funding could come from adding in housing and retail, and incorporating the building into the city’s resiliency plan. “We need to be smart about using what we have,” said principal partner at Marble Fairbanks Karen Fairbanks. The first part of the team’s project was actually a new tool to help libraries identify their needs, Fairbanks explained, because every neighborhood’s needs are different, and the data to read those needs is readily available. One branch library may need its space to serve an aging population. Another may not be open long enough to serve a particular demographic. By overlaying the different public data sets, gaps and future trends can be identified. 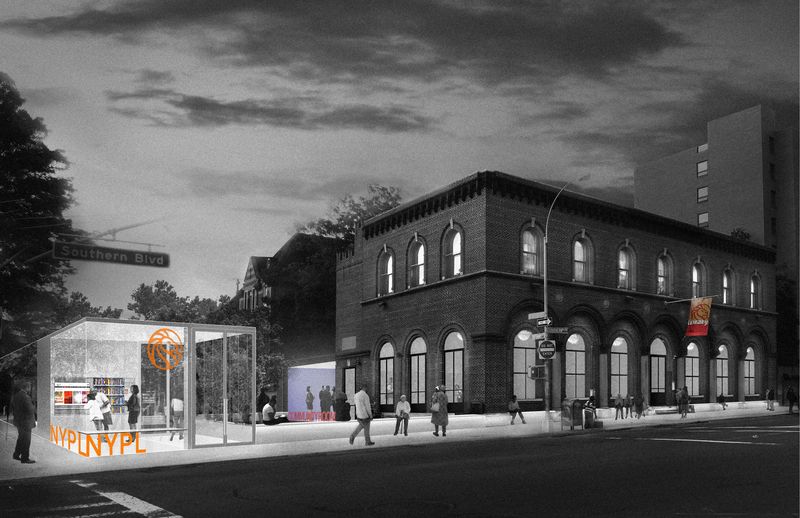 In Brighton Beach’s case, the library is close enough to transit that it could attract retail that would add vibrancy, Fairbanks said. It is also close enough to the water that it could be designated an emergency center and qualify for resiliency funding. Over 70 libraries fall within evacuation zones, and another 70-plus are within a quarter mile of evacuation zones. The architect’s redesign adds a community area on the first floor so it can be open 24/7. The rest of the library is up on a second floor. Affordable housing is also a need in the area, and the library has extra air rights, giving it the option to build up. One of the team’s ideas is to create a fund developers pay into if they build housing alongside or close to a library. Certainly it can’t be done for every site (but it is in progress at one Brooklyn library), and adding housing is a notoriously touchy issue. Far from becoming obsolete, and surprisingly to some, public libraries have gained more visitors in the digital age. From 2001 to 2011 at the 214 local libraries and four research libraries run by the New York Public Library, Brooklyn Public Library, and Queens Public Library systems, circulation has gone up about 40 percent and visitors have gone up about 60 percent. That’s close to 40 million annual visitors and higher than attendance at all the other major cultural institutions combined. Libraries remain knowledge centers, but technology has changed how they work. Christopher Platt, New York Public Library vice president for library services, said it also means making more content available in digital form: downloadable, available for streaming, a library app, and/or providing recommendations through social media. Designers found that libraries increasingly require both individual workspaces as well as collaborative ones, and flexibility is a high priority. Most libraries, even newer ones, don’t have sufficient infrastructure, according to CUF’s study findings. Half have 10 or fewer electrical outlets in work spaces, and 18 percent have one or none at all, making the buildings ill equipped even for people who bring their own technology. About 20-30 percent of households do not have broadband at home, according to a recent report by the city comptroller’s office, and libraries are committed to helping fill that gap. Initially they leaked Wi-Fi outside the buildings so people could access it even when libraries were closed, and more recently they are allowing people to check out wireless hotspots. A team led by Andrew Berman Architect addressed the need for providing technology beyond libraries’ open hours with 24-hour kiosks to deposit books, look up information, and provide power outlets. After Hurricane Sandy, Sheepshead Bay branch library manager Svetlana Negrimovskaya started a string of programs, including a poetry workshop for distressed community members. She was met with a lot of resistance. “‘How can poetry help get rid of my stress? I lost my home, my belongings,'” Negrimovskaya remembered neighbors saying to her. But she gently persuaded them to come, to try it, and to leave if it did not help. People slowly agreed, and to this day they still attend her workshops. 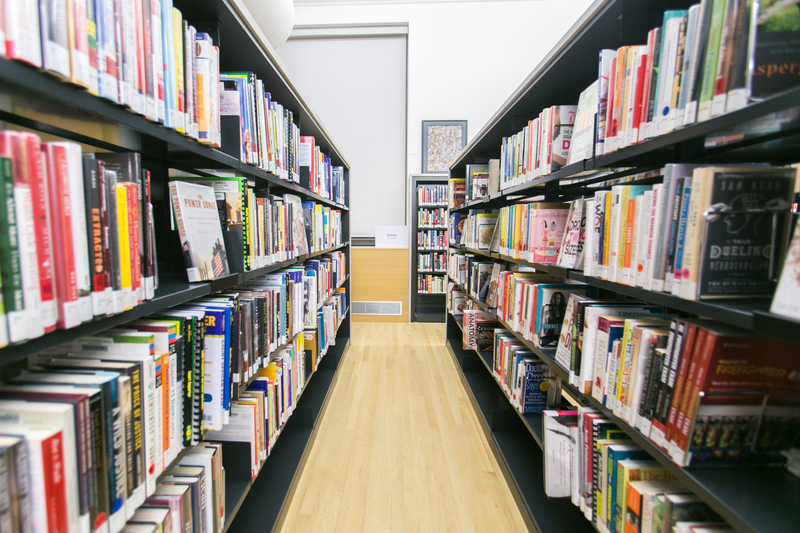 The following year, grateful community members nominated the branch library for the Revson Foundation’s NYC Neighborhood Library Awards, and the $10,000 her branch won helped her strengthen the existing workshops and activities. This year the awards are twice what they were last year, and the deadline is Friday, Dec. 12. The community can also, more sustainably, help strengthen libraries, said Mark Thaler, who leads Gensler’s Education Practice Area. 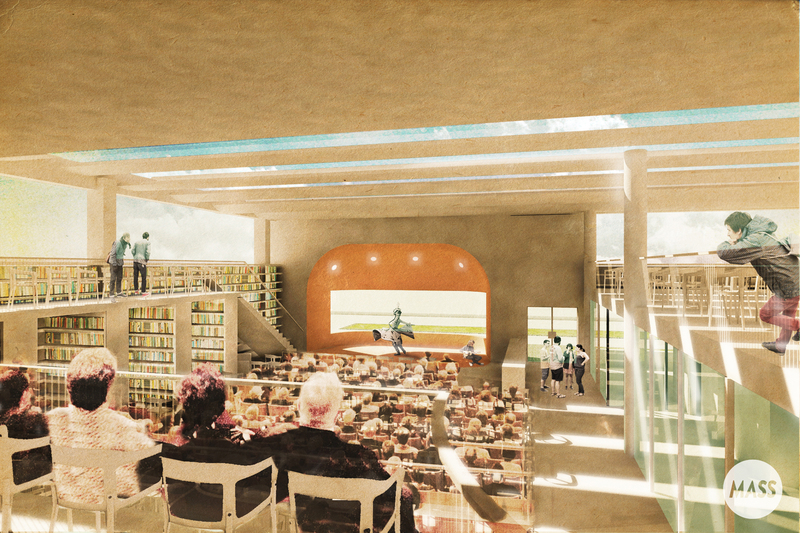 Gensler surveyed several libraries and not a single one was underused, Thaler said. Gensler tested a community engagement process, bringing in the various stakeholders of the Eastern Parkway branch library for visioning sessions. They started with a narrow focus and library staff, and then broadened out to community groups, and all the different patrons. The library lacked resources to provide all the programming it wanted, but it turned out there were local community groups with the capacity to provide it, and the connection had never been made. For instance, Thaler said, students who come to the library needed help in school, but the library didn’t have the staff to provide tutoring. A community organization just happened to have tutors but no students. CUF researcher David Giles suggested creating a position in City Hall for overseeing libraries. Council members floated the idea of further involving nonprofits as well. As it stands, government needs to show a commitment to public libraries before private money will come, Giles said. Some of it means dollars for maintenance, and some of it is streamlining policy to lessen libraries’ budgetary burdens. Without committed funds for the long term, libraries have a hard time prioritizing needs. “What we end up doing is patching instead of really repairing,” said Bridget Quinn-Carey, interim Queens Library president. “It hampers private fundraising for capital to see how badly the system is managed,” Giles said. But if the city shows it is committed to maintaining libraries, it helps attract private dollars, creating a potential virtuous cycle, he said. 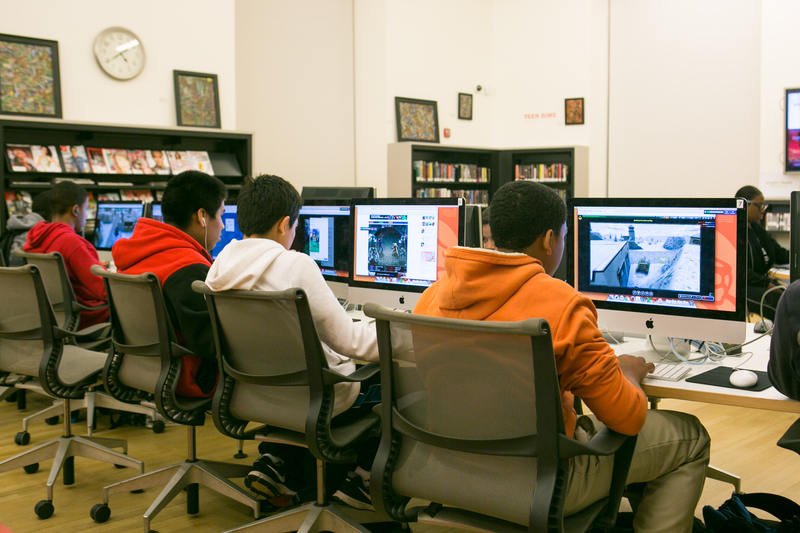 Stone Avenue Library in Brownsville, Brooklyn, now celebrating its 100th anniversary, has just undergone a complete renovation to inspire learning in low-income neighborhood.